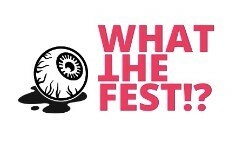 Check out the full line-up for What the Fest!? IFC Center is proud to announce the full slate for the upcoming film festival What the Fest!? (www.whatthefestnyc.com), a four-day showcase of outrageous content -- horror, sci-fi, documentary, thrillers, and beyond -- from March 29th through April 1st. What the Fest!? will feature exciting premieres, including one world premiere, one US premiere, many New York premieres and the world premiere of a new digital restoration of a film never before released in the U.S. What the Fest!? also boasts under the radar cinematic finds, film festival hits from Sundance, TIFF, and Rotterdam, as well as buzzworthy talent in-person at screenings and post-screening events. Opening night of What the Fest!? will feature the New York Premiere of Coralie Fargeat’s REVENGE, a thriller about a mistress who exacts “revenge” on her married lover and his friends, turning their annual hunting trip into a decidedly deadlier adventure. The closing night film will be Jenn Wexler’s THE RANGER, about a group of teen punks on the lam, who hide out from the cops in a remote cabin… only to run into bigger troubles. Wexler will appear at the Q&A, along with producer and co-star Larry Fessenden of Glass Eye Pix. “It's a thrill to celebrate the opening of the festival with a powerhouse film and filmmaker like Coralie Fargeat. Equally exciting is our closing with THE RANGER, the feature debut of producer-director Jenn Wexler,” says Creative Director Maria Reinup. “And with the diverse, fun, delightfully scary, slightly crazy, and entirely awesome movies that round out the rest of our lineup, we are happy to say that What The Fest!? is here to stay. Now join us for a feast for your eyeballs!” Reinup is a veteran film programmer who has worked in the film industry for the past decade in her native Estonia and around the world. She has served as Director of the Haapsalu Horror and Fantasy Film Festival for seven years; additionally, she programs the Black Nights Film Festival, the only A-list art house festival in Northern Europe. Over the years, she has also worked for several other notable film festivals and has produced and directed short films and music videos. More What the Fest!? programming highlights include the World Premiere of BOILED ANGELS: THE TRIAL OF MIKE DIANA, a documentary chronicling the obscenity trail of the eponymous comic book artist Mike Diana, directed by cult favorite Frank Henenlotter (BASKET CASE); Henenlotter and Diana will appear in person. 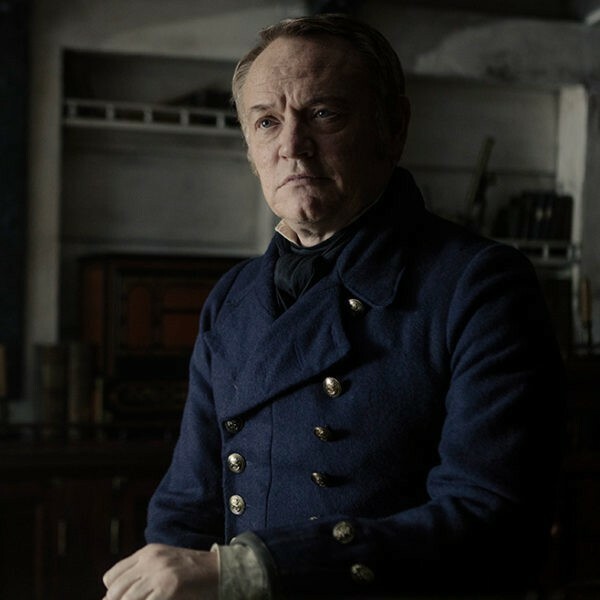 There will also be a sneak peek of an unseen episode from the new AMC series “The Terror,” with star Jared Harris of “Mad Men” in person for a Q&A, the critically lauded horror film GHOST STORIES starring Martin Freeman, and theWorld Premiere restoration of the never-before-seen-in-the-U.S., CURSE OF SNAKES VALLEY, a.k.a “The Soviet Indiana Jones.” West Village neighborhood bar Vol de Nuit (148 West 4th Street) will serve as a central What the Fest!? gathering place, bringing together filmmakers, film fans, and everyone in between. What the Fest!? promises to upend what people think of when they hear “genre films,” highlighting films in a new way throughout a can’t miss weekend for cinema lovers who are looking for the next cool thing. Expect anything! Synopsis: Three wealthy, married men learn the hard way that you should never bring your mistress along on a guys' getaway, especially when there’s hunting involved. A Neon release. Synopsis: In this mesmerizing Scandinavian Gothic fable shot on 35mm, a small boy sets out into the deep, dark woods in search of a mysterious creature. Filmmaker Jonas Matzow Gulbrandsen will appear in-person for a post-screening Q&A. 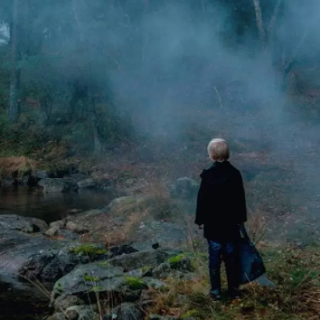 Synopsis: Two brothers (played by co-directors Justin Benson and Aaron Moorhead, of SPRING and RESOLUTION) return to the cult they fled years ago, only to discover that the group's beliefs may make much more sense than they once thought. A Well Go USA release. Benson and Moorhead will appear in-person for a post-screening Q&A. Synopsis: As if adapting to a new town and a new life weren’t enough, 15-year-old Mia faces an overwhelming transformation when her body starts to change radically. Synopsis: Jailed for comics?! 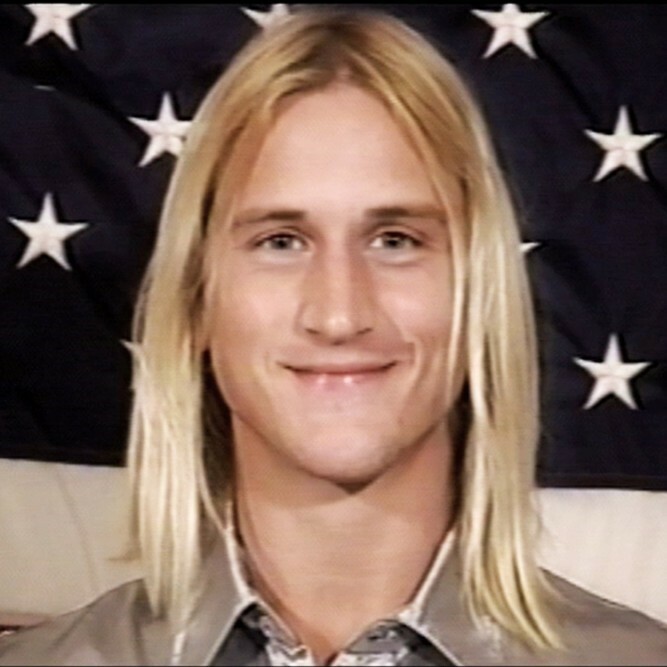 The true story of Mike Diana, the only American artist ever convicted of obscenity, directed by cult filmmaker Frank Henenlotter (BASKET CASE, BRAIN DAMAGE, FRANKENHOOKER). Henenlotter and Diana will appear in-person for a post-screening Q&A, along with producers Anthony Sneed and Mike Hunchback. 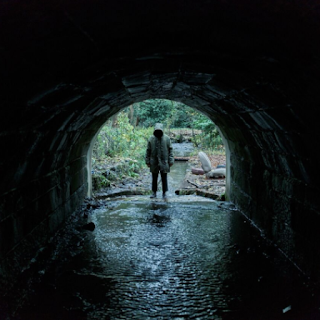 Synopsis: Arch-skeptic professor Phillip Goodman embarks upon a terror-filled quest when he stumbles across three long-lost cases of unexplainable “hauntings.” Filmmakers to appear in-person for post-screening Q&A. Synopsis: A hit at Rotterdam, acclaimed director Joko Anwar’s (MODUS ANOMALI, A COPY OF MY MIND) remake of a beloved 1982 Indonesian horror classic (reputedly itself inspired by PHANTASM) is a delightfully terrifying haunted house movie -- and the country’s biggest box office smash of 2017. 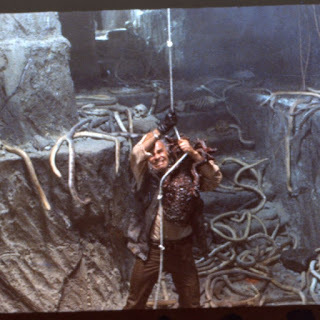 Synopsis: This unseen 1980s Eastern Bloc-buster presents the Soviet answer to Indiana Jones in a tale that combines snakes and jungle traps and the “classic weirdness” of Polish sci-fi! Never released in the U.S., CURSE OF SNAKES VALLEY screens in a beautiful new digital restoration by the Estonian Film Institute. 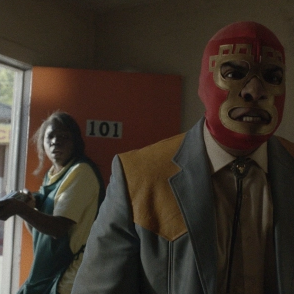 Synopsis: The sordid lives of an addict, an ex-con, and a luchador collide when an organ harvesting caper goes very, very wrong. An IFC Midnight release. 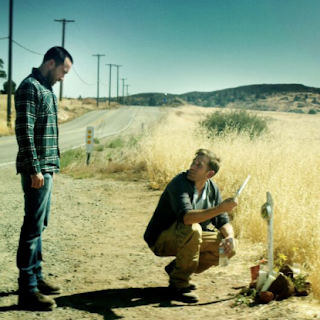 Director Ryan Prows and co-star Mark Burnham will appear in-person for a post-screening Q&A. Synopsis: Join star Jared Harris for a sneak preview of AMC’s new series based on Dan Simmons’s 2007 bestseller, the true-life tale of a group of sailors confronting certain death at the frozen ends of the earth. Jared Harris and Executive Producers Soo Hugh and David Kajganich will appear in-person for a post-screening Q&A. Synopsis: Teen punks on the run from the cops hide out in a remote cabin, only to find out that the forest has its own law. Writer/director Jenn Wexler and producer/co-star Larry Fessenden will appear in-person for a post-screening Q&A. Tickets for all screenings are available online at WhatTheFestNYC.com, or in-person at the IFC Center box office, 323 Sixth Avenue (at West 3rd Street), open daily 10:30AM-10:00PM.